Too much thinking may hinder recovery from concussion, suggests a study of the effects of cognitive activity on the duration of postconcussion symptoms. Physical and cognitive rest are considered central to recovery from concussion but prior research on the importance of cognitive activity was unclear. The study assessed 335 athletes (average age 15) seen in a sports concussion clinic at Children’s Hospital Boston. 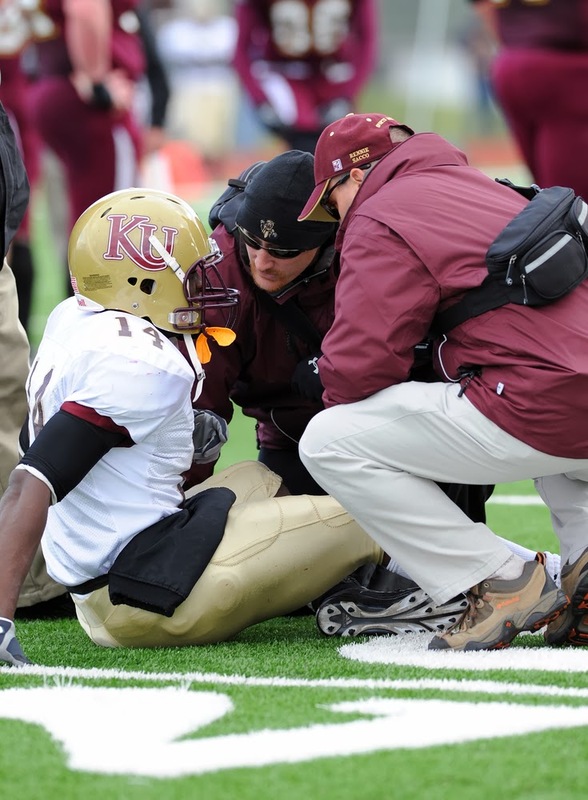 Ice hockey, football, basketball, and soccer players accounted for most of the patients. The researchers found that total symptom burden at the first visit and cognitive activity were associated with the duration of concussion symptoms, said William Meehan, M.D., and colleagues online January 6 in Pediatrics. Meehan is with the Brain Injury Center and Division of Sports Medicine at Children's Hospital Boston. “[C]ognitive rest entails limiting activities that require attention and concentration, such as reading, text messaging, video game playing, working online, and performing schoolwork,” the researchers noted. They hypothesize that adenosine triphosphate (ATP) might help explain how cognitive rest affects recovery. ATP is needed in brain cells to restore homeostasis, but decreased cerebral blood flow following concussion causes an imbalance between increased need for ATP and a decreased supply, which prolongs concussion symptoms. “One of the reasons for instituting cognitive rest is to conserve the limited ATP supplies for injury recovery, as opposed to using ATP for intellectual tasks,” they said. Complete abstinence from those cognitive tasks is not necessary, they said, but they recommend academic accommodations until the concussion symptoms disappear. To read more about the effects of concussion, see the Psychiatric News article, "New Effort Begins to Prevent, Intervene on Concussions." Also see the study, "Outcomes of Sport-Related Concussion Among College Athletes" in the Journal of Neuropsychiatry and Clinical Neurosciences.